MALA promotes the appreciation of our beautiful horses by encouraging and supporting Lipizzan owners to participate in regional and local (GMO) equestrian events. To recognize the dedication and hard work of Lipizzan owners on the East Coast and their horses, MALA has established a new annual awards program. Each year MALA will offer a ribbon for the highest scoring Lipizzan and for the highest scoring young Lipizzan in each state on the East Coast. 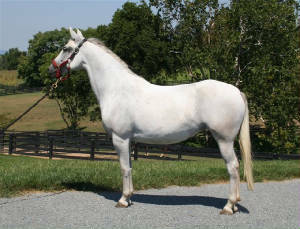 Highest scoring Lipizzan in dressage, hunter jumper, western pleasure, driving, and breed shows. All shows under consideration must be rated. Applicants for awards must submit their horse/rider summary sheets from USDF and USEF. 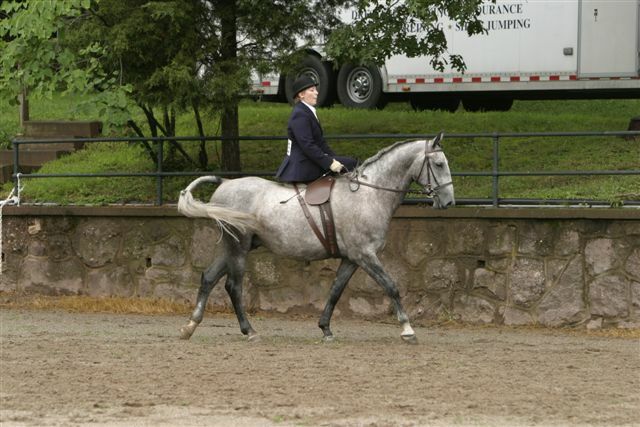 Highest scoring young Lipizzan (5 years of age and under) will include in-hand as well as under saddle. Ambassador award to any Lipizzan and rider that has gone above and beyond all others to promote the breed through activities or to educate the public. Awards will be based on the highest single score rather than cumulative scores; a form is attached to apply for these awards. Awards will be made in December, based upon performance for that preceding year. In order to be considered for an award, a rider/owner must be a current (2010) MALA member. He/she must submit proof of the highest performance score within the same calendar year (January 1 - October 31) along with the entry form. All forms must be submitted to the Mid Atlantic Lipizzan Association c/o melanie Adams, 5157 Jolly Acres Road, White Hall, MD. 21161 by November 10, 2010. States in the East Coast region inlcude: Florida, Georgia, North Carolina, South Carolina, Virginia, West Virginia, Maryland, Delaware, Pennsylvania, New Jersey, New York, Rhode Island, Connecticut, Massachusetts, Vermont, New Hampshire, and maine. MALA is working to increase Lipizzan participation in regional equestrian events as to promote knowledge and appreciation of our very special breed. As such, MALA is planning to sponsor a Lipizzan Individual Breed Class at the VADA/NOVA Breed Show at Morven Park, June 24-25. Entry forms are available on the VADA/NOVA website at vadanova,org. Once on the site, scroll down to the calendar for June and go to the Breed Show listing where the entry forms are available. Join other dressage riders and enthusiasts at Four Winds Farm in White Hall, Maryland for a five-day clinic with Christian Bachinger in classical horsemanship. Herr Bachinger is an experienced clinician who will work with horses and riders of all levels and at each rider's individual pace. For additional information please contact Melanie Adams at madams8550@aol.com or 443-220-6068. Mr. Pare is an experienced clinician who has studied with many dressage masters including Nuno Oliveira and Egon Von Neindorf. Lita Hughes has a life-long training riding and career, is a certified Centered Riding Instructor, and boards and teaches at her Ev'ry Last Scent Farm in White Hall, Maryland.